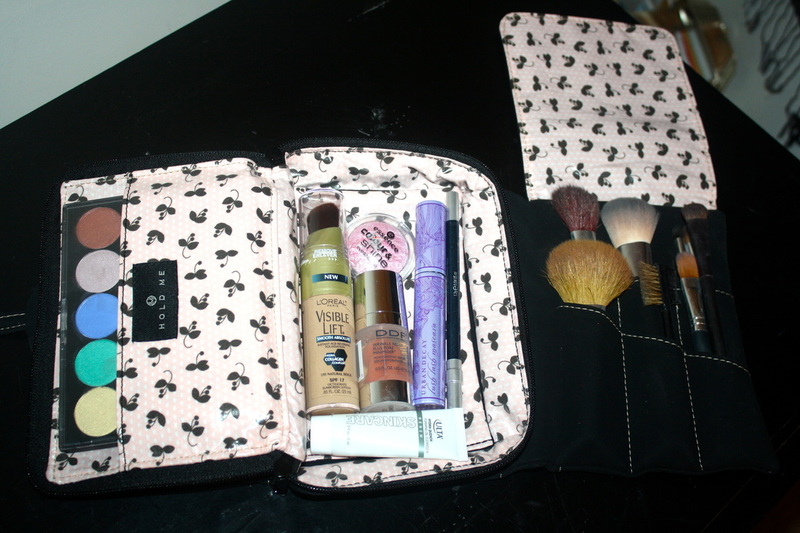 I love finding new ways to store my makeup and brushes when I know I'm going to be on the go. I'm always looking for a way to also keep my most used items together so I'm not scrambling around in the morning trying to find that shadow brush that I accidentally put in the wrong spot and can't find when I am running late for work in the morning. I also am sick of the yucky clear bags and cheaply made plastic ones that rip and get gross after a few weeks of using them. 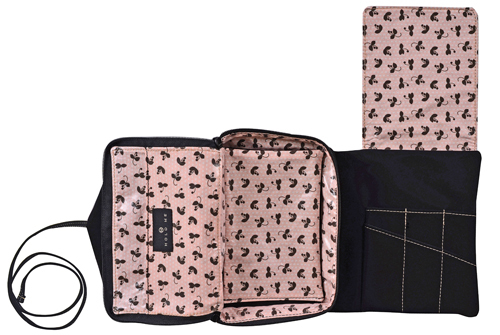 That's why I HAVE to share this awesome makeup bag by The Hold Me Company. This adorable bag is called the Hold Me Baby Bag! They also have the larger Hold Me bag, which is a larger version of the one you see here. You can pick what kind of print you want inside (I got the Willa Bud) but they all come in this beautiful Knew Suede fabric. 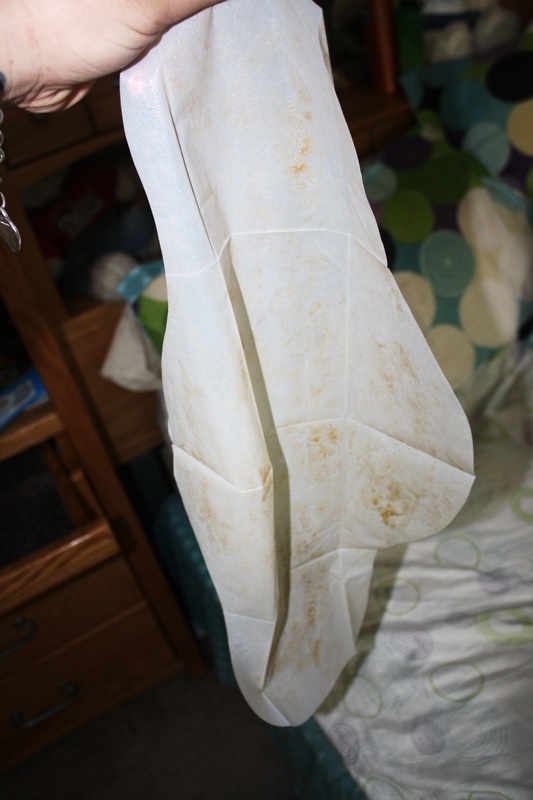 This fabric has been put to the test and wipes clean easy!! It's durable and appealing! 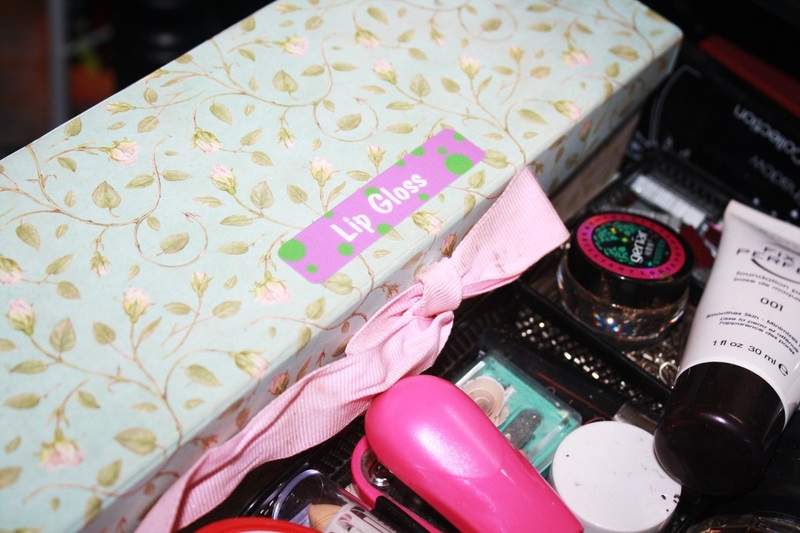 Better than any plastic makeup bag, that's for sure!! One feature that I want to point out is the way it closes. 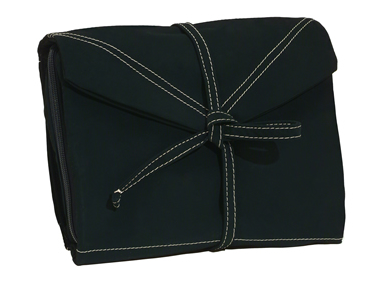 It has a wrap-a-round tie that keeps the bag closed and secure. I never realized how much I would like this until I tried fitting all different sized brushes and products into the bag. I realized that this design was much better than other bags because it allowed for the bag to have more space to fit larger brushes without crushing them, thanks to the tie. Also, there is no velcro, zippers and magnets to deal with! 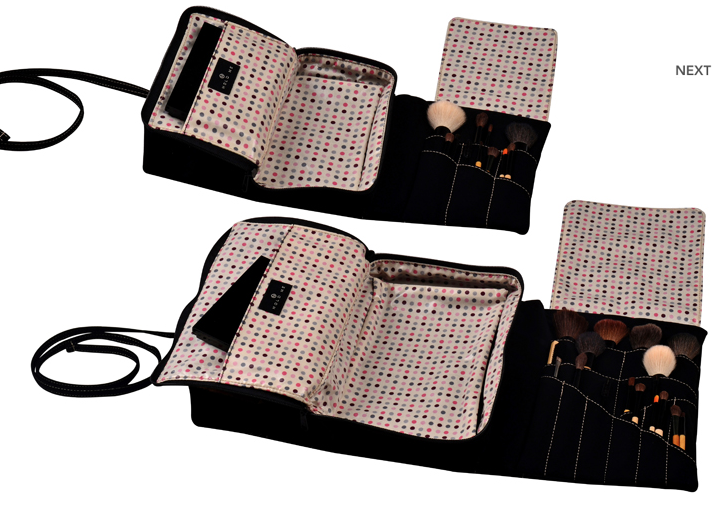 As you can see, even the Baby Bag has plenty of space for your makeup AND makeup tools. You have six spots on the right to place makeup brushes (even fit more than one brush in each holder), a zippered compartment to keep foundation, eyeshadows, pencils etc. and a spot above that to place maybe an eyeshadow palette or whatever you'd like! I'm personally in love with the fact that you can SEE and feel all the thought and quality that was put into this product. The high quality fabric, the material used inside that wipes clean in a second and even the flap to cover your brushes to keep them clean and if they are used, it prevents them from making a mess! 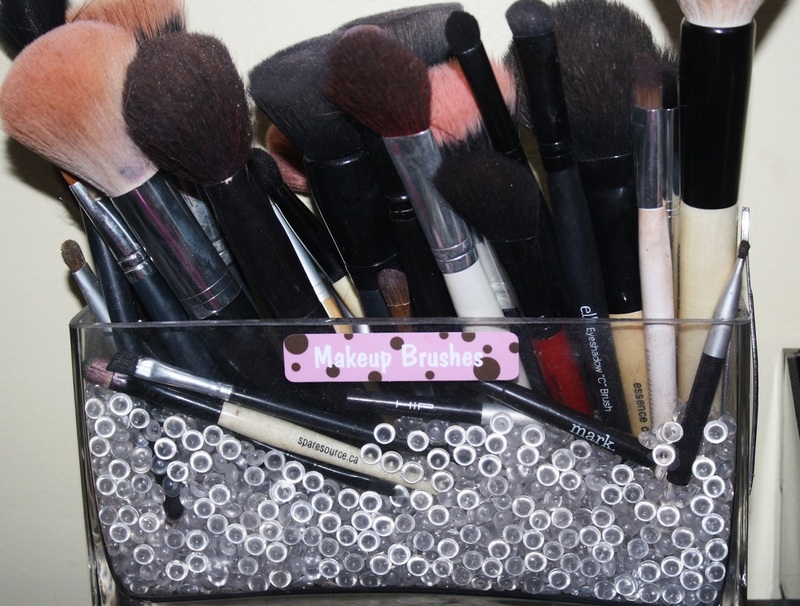 Take a look below to see how I can easily store all the brushes and makeup I need for an evening! If you are looking for a bag for everyday use I think the Hold Me Baby Bag is a perfect choice and retails for $55! If you like a lot more options to carry with you or are a makeup artist, I'd suggest the original Hold Me Bag which retails for $85. The price is a little more on the higher end, but SO worth it. Would you rather have a bunch of tacky plastic makeup bags that tear or one great quality one that will last you forever?! Kind of an easy question if you ask me! Lindo twist-n-roll tweezers is a hair removal tool that uses a similar process as the technique called hair threading. It removes the hair right from the root just like waxing or plucking. Now this was designed for the face but can be used on your legs, upper arms, toes etc. but do NOT use it under your eyebrows as it can grab your lashes. Just imagine how painful that would be! How does the Lindo Twist-n-Roll work? When you bend the tweezers into an upside-down U shape and place it against your skin, the coil opens, positioning the facial hair between the coils. When you twist the handles, the coil gently closes and grabs the hair; through the rolling motion, the coil opens and closes, and the hair is gently pulled from the root. Here is the directions with photos below! If you have sensitive skin or are doing this on your upper lip where it can be more sensitive, they suggest (and I do too!) to place a hot towel on the desired area for 2 minutes before hair removal. This opens up your pores and makes it easier for the hair to come out. Once your finished removing any hairs, you just wipe the coil with a dry cloth or paper towel and can rub it with rubbing alcohol to disinfect. This does work but is a little painful at first. I found it easy to get used to after a few tries though. The hot towel on your skin really does help. I used to use a razor for in between my eyebrows but now I use this instead since it makes it longer for the hair to grow back rather than just shaving it. I love that this is quicker than plucking too, because it grabs several hairs at once instead of the painstaking one at a time deal with tweezers! Only it is a little difficult to pin point the exact spot you want sometimes. Have you ever heard of people using hair dryers to heat up their mascara wands to get an easier application and reduce clumps? If not, now you do! But what a pain that is to use a blow dryer. Godefroy Beauty has this tool that is so much easier and really works! It's a Mascara Warmer! Overall I like this idea. It's super simple to use too. Before I do any of my makeup I just put my mascara in the hole and turn it on and do all my makeup and apply my mascara last. This gives it time to heat up enough by the time I am ready for it. The mascara really does go on a lot easier since it's warm. I also noticed that it made my older tubes of mascara work a lot better. (Not really old tubes because your supposed to throw out after 3 months!!) So I believe this tool will help the longevity of your mascara from drying up to early! Get your own Mascara Warmer for $19.95 here. 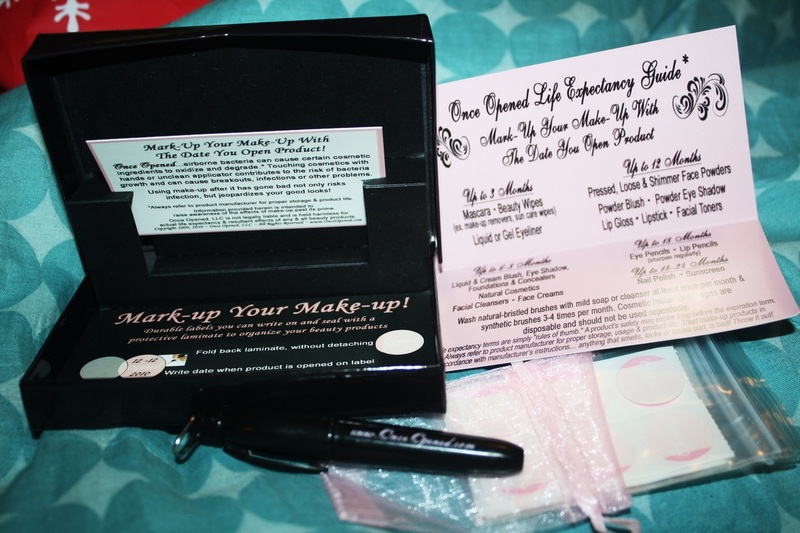 Beauty Box 5 Sampling Program & GIVEAWAY! "Once a month, we deliver a Beauty Box with four or five handpicked samples directly to your doorstep. Your Beauty Box will contain items like makeup, skin care products, hair care products, fragrances and a few other surprises! Learn more about your samples on our site! You can see exactly what other beauty lovers are saying about the products. Plus, you’ll find special how-tos and beauty tips right at your fingertips." I absolutely love sampling programs. They seem to have become really popular lately! I believe it's because people are tired of buying full size products and guessing if they are going to like it or not. By paying a small fee each month you can get samples like these ones I got here from Beauty Box 5. They also have you complete a profile so you can get custom Beauty Boxes in the future! The best thing about this box is that you can decide what type of membership you want. You can do monthly, quarterly or yearly subscriptions. It's great because you save money if you do it quarterly or yearly (saves you $6 or $44). The monthly box fee is only $12, the quarterly fee box is $30 and if you pay yearly its $100! So that is a feature that really makes this sampling program great! They also have a way to earn free boxes by referring friends! Easy and fun! Tree Hut Shea Body Butter 2 Oz. Brazilian Nut Shea Body Butter Made with 27% Certified Organic Shea Butter these lovely little moisturizers are a must for summer-ready skin! They come in a variety of formulations from Original to Brazilian and Hawaiin and smell absolutely wonderful! Felicity's Tip: Shea Butter is a miracle worker! Outside of it's wonderful hydration benefits, shea butter is great for itchy skin, sunburns, eczema, stretch mark prevention, insect bites and any skin damage from a heat source such as a burn. Firm & Repair Throat Creme Firm your throat, jawline, and decolletage all while reducing puffiness. The Firm & Repair Throat Creme is a treatment perfect for sagging contours and aging skin. 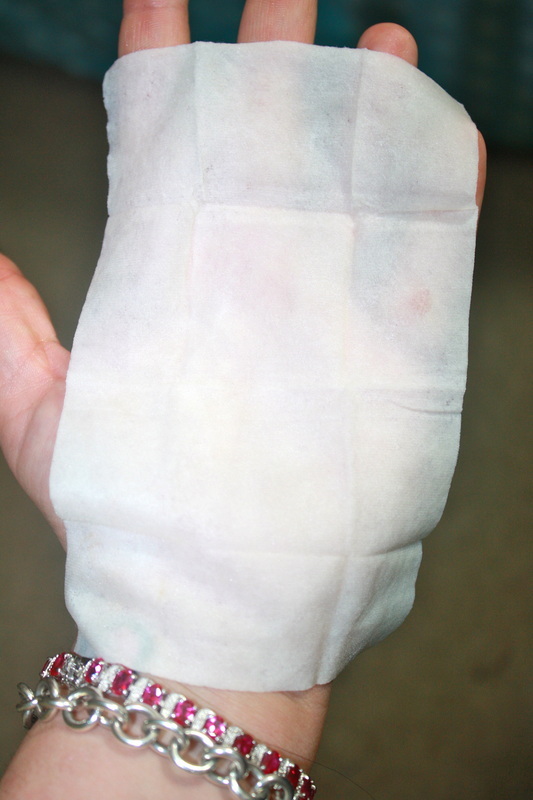 Self Tanning Towelette Practice safe sun and get a natural healthy looking tan with Comodynes Self Tanning Towelettes. For best results, exfoliate the day before application to remove dead skin cells to ensure an even luxurious glow. Miracle Styling Serum Remember, a little bit of this amazing product goes a long way and it's a lot easier to add more than to wash your hair again! Start with about a dime size amount and work it through your ends first. Felicity's Tip: Brazilian Buriti Oil in this Miracle Styling Serum is an amazing hydrator. When you're in a bind, you can spray a little on your cuticles or any dry areas on your skin and surprise ... it's a 10! Miracle Hair Mask For daily use, apply about a quarter-sized amount to freshly shampooed hair, leave for 2 - 3 minutes and rinse with cool water. Hair masks are a great way to revive hair after all sorts of events; swimming, over-styling, long-term sun exposure and especially coloring. For especially dry or damaged hair, apply a medium palm-sized amount evenly through hair, wrap in plastic and a damp, warm towel and level under heat (you can use your blowdryer) for 3 - 5 minutes. Moonlight Radiance Night Cream Apply nightly to face, neck and chest area after washing and toning skin. You don't have to reserve this little jewel strictly for night. Felicity's Tip: When you're feeling a little dry or your skin is a little less than luster-ful just mix a little of the Moonlight Radiance Night Cream with your favorite toner (for a thinner texture) and apply to the areas where you need a little love. I loved playing with my new samples and plan to now take a better look into buying the full sized products...especially It's A 10! 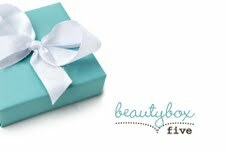 Now I offer you a chance to win this same exact box or sign up for your own Beauty Box Five here. 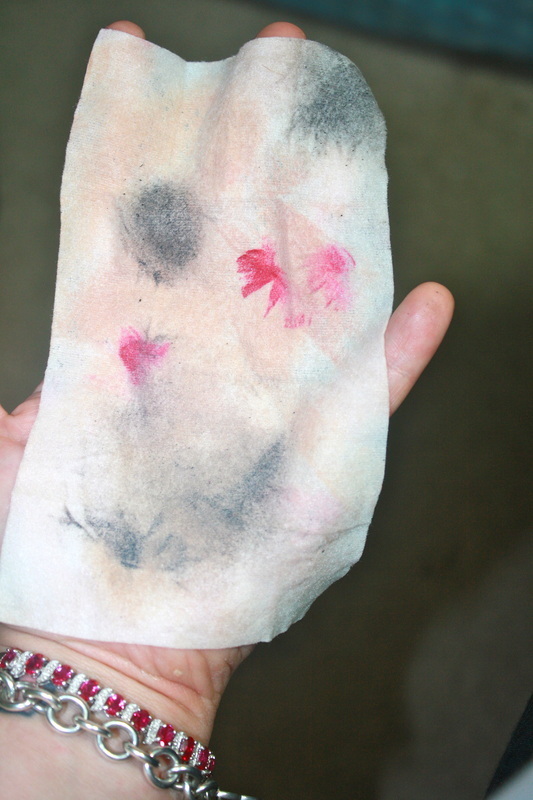 Ahhh the good old cleansing cloths and makeup removers!! I couldn't live a day without any of these convenient cloths. 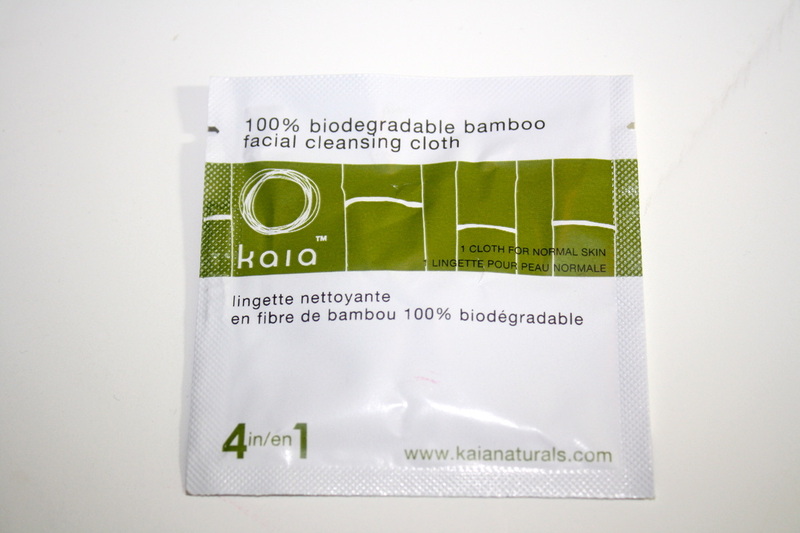 Kaia Naturals is no exception and I'll tell you why they are even better than your average cleansing cloths. This little packet here contains one facial cloth and that's all you need to take with you to take off one days worth of makeup. But while your doing that it's also cleansing and toning your skin. And the smell is yummy! Smells like spearmint and citrus scents!! Like I said before these are great and gentle on your skin and the environment. Did you know that bamboo can be harvested in 3-5 yeats versus 15-20, typical for many hardwoods? You do now!!! New cloth right out of the package! Dirtyyy Cloth after rubbing across my face a few times! Well, I really don't even think I need to explain much. These photos speak the truth and SHOW better than I can say how well these worked. It also shows how makeup does wonders on me, hahaha! I obviously finished the other half of my face after the picture and my face FELT clean. Unlike another brand I usually use, I didn't feel any kind of residue on my face after that made me wanna rewash my face. With all the benefiting factors and how safe it is for your skin and the environment I couldn't ask for more from a cleansing cloth! A close, comfortable shave requires a lot of moisture. What better place to get wet than in the shower! Simply by its unique design, The Shave Well Company fogless shower mirror will forever change the way you feel about shaving. Having this mirror that doesn't fog also obviously helps with the constant wiping off of a regular mirror that doesn't have this anti-fog feature. It was super easy to install as well!!! Check out the photos below of Tomy setting his up in the shower. 1. Clean the area that you'd like to hang your mirror of shampoo/soap residue and pat dry. 2. Peel off the back of the hook and press onto the wall for 15 seconds to ensure a good grip. 3. 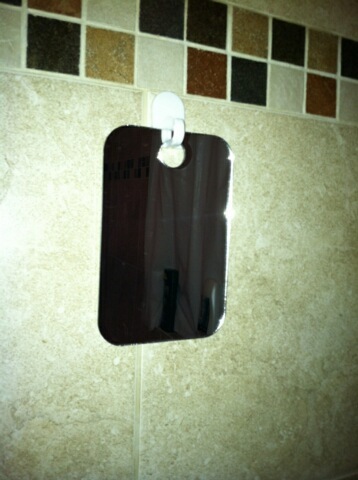 Hang mirror onto hook and you are ready to have your first shave in the shower! What I personally being a girl, loveee not finding little hairs all over the sink and floor anymore!! Everything just rinses down the shower drain so easily! Every time you are ready to use this mirror, first just run it under the warm water to warm it up to ensure no fog! I have heard that you can also get a suction cup at Target or whatnot if you don't want to put the sticky adhesive on your wall. I think another neat feature they could as is a little area that you can place your razor and shaving cream can! That would be neat to see. So it would be like a little shaving station! Other than that the mirror does what it works, helps the boy get a better shave and less cleaning afterwards! 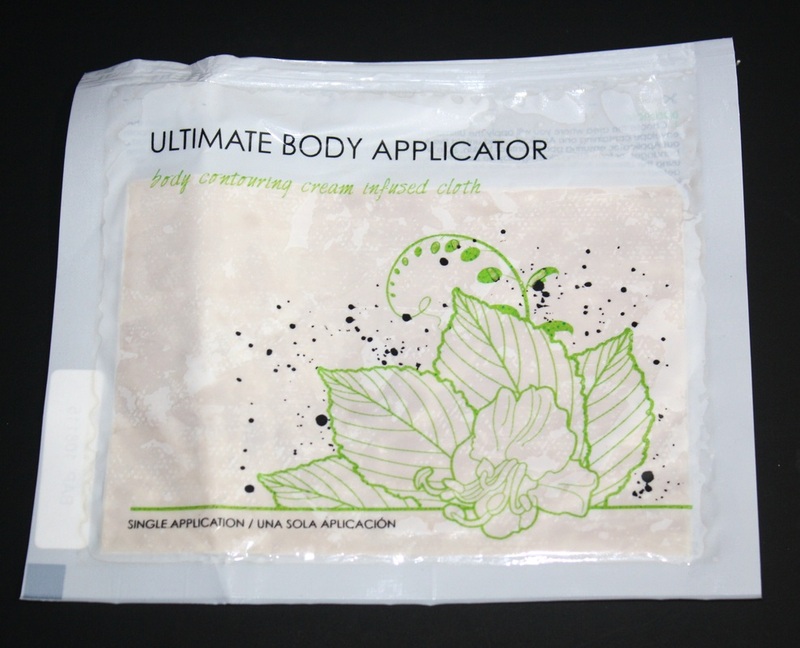 "To this day, It Works!’ first product is still its most popular: The Ultimate Body Applicator. The site-specific body contouring treatment has been in the hands of celebrities at Hollywood events and at the doorsteps of people like you all over the world—exclusively available through It Works! Global." Now, things like this always seem to good to be true or some sort of get skinny quick gimmick. A body wrap that can shrink you wherever you put it? This Ultimate Body Wrap doesn't claim/guarantee to make you instantly loose 20 pounds or anything crazy like that so I know they aren't pushing any ridiculous false advertising on people, which it is respectable. The wraps tone, tighten, and firm your skin, in as little as 45 minutes, with inch loss being a side effect. Most people see these results on their first wrap. It is basically a detox wrap that flushes out the toxins in the fat cells by drinking half your body weight in water for the 72hrs during and after your wrap. You can target any area, chin, neck, arms, thighs, stomach, buttocks, love handles, etc. There is even a facial wrap that diminishes fine lines and wrinkles and helps acne. Here is the wrap out of its packaging. That brownish stuff you see is the gel that does all the work! Now what you need to do when you get yours is measure wherever you are going to put it the wrap and take before and after photos so you can notice your changes. 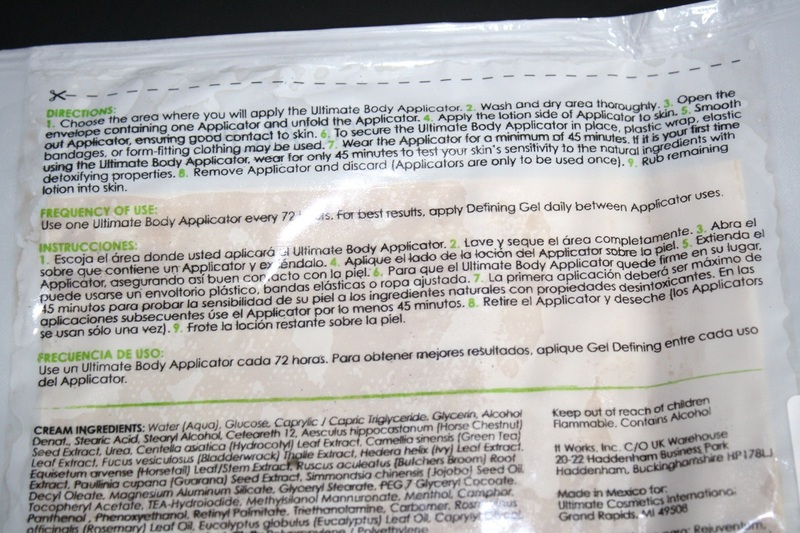 You need to wait 72 hours before using a second wrap in the same place. In order to get maximum results, they tell you to drink LOTS and LOTS of water to help your body detox completely. I took mine out and stuck it around my belly and then took plastic wrap and wrapped it around my belly as well to hold the wrap in place even better. I left mine on for about 2 hours. I noticed there was a tingling feeling throughout the process... kind of like an icy hot feeling. I actually liked the feeling of it because for me any kind of sensation like that makes me feel like it's working! Haha!Now the number of applications you may need to get a big noticeable difference depends on your toxic level and how well your skin absorbs the formula. My Results: Once I took the wrap off and just rinsed off a little I looked in the mirror and could actually tell on the sides that it did look noticeably smaller. Just on the sides of my waistline. I was actually pretty stoked just for that because I didn't think anything would really happen! After a while I also noticed just the overall smoothness of my skin had improved. For my own sake I'm keeping those before and after pictures for my eyes only, lol, but maybe Alyx will share hers when she does her wrap ;) But YES I did see a slight difference and I do think if I had one or two more there would be a very nice inch loss and it would be more visible to others. I would love to try it again or even try a face one next! This is not me, this is someone else's actual results. 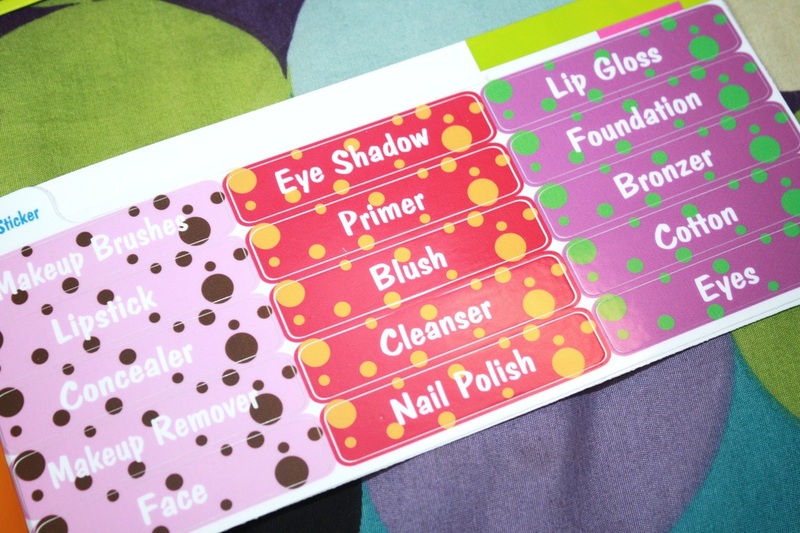 "Loveable Labels" - Organize your makeup! Ok, I can't even stress to you how badly I needed labels for my makeup because if nothing is labeled I end up making a mess of my whole desk and containers! I came across this adorable website called Lovable Labels and we teamed up to create these labels just you beauty lovers! Lovable Labels started with a mom that found herself in the middle of a problem. 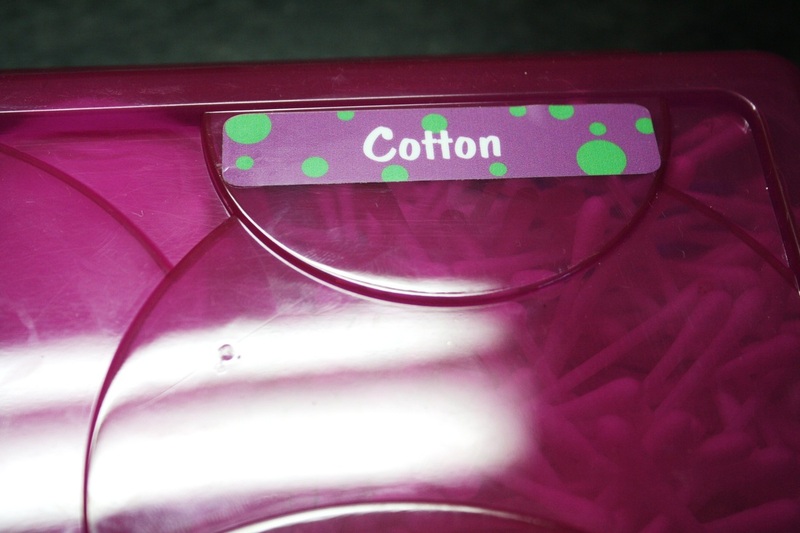 When she took her son to childcare she was asked to label all of his belongings. Which for a little kid means a lot of labeling like his backpack, shoes, lunches, cups etc. So she decided to develop what I have here: tough & durable labels that can put up with the wear and tear of children! 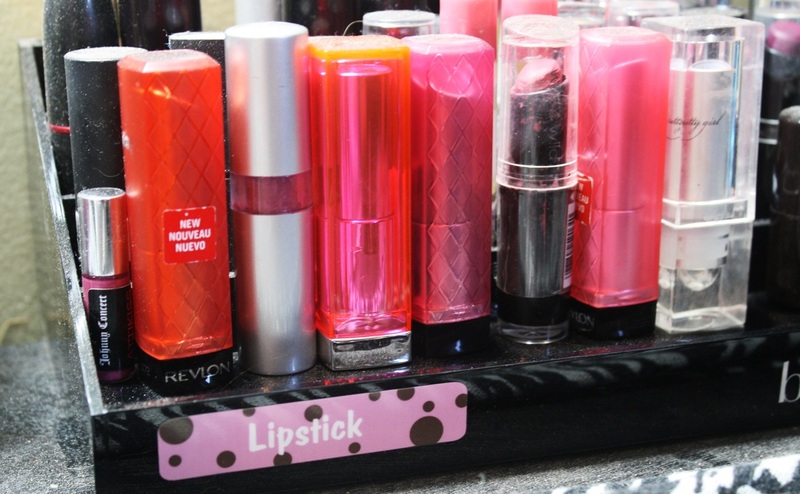 In the picture above, you can see how I chose words that have to do with cosmetics and makeup tools. You can choose any words you like, you don't have to copy the ones I have if you don't like them! Not only do they have different designs to pick from but they are developed with the best quality and are waterproof, dishwasher and microwave safe, washer and dryer safe, sun safe, bleach safe, sunscreen safe and temperature safe! WOWZA! Now if that can't hold up to everyday use, I don't know what can! I love my polka-dotted labels so much, they are cute and not just a boring white label. Below are some examples of where I put mine! Awesome and cute right?! Now I can get to things quicker and now put things in the wrong homes. They make a lot more than just these labels you see here. 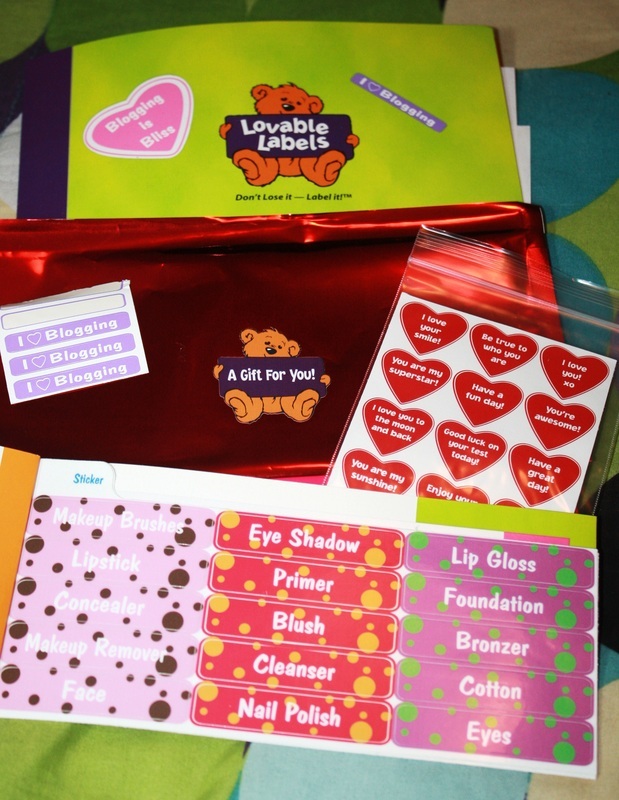 Some examples are: clothing labels, bag tags, safety products, stationary and more! 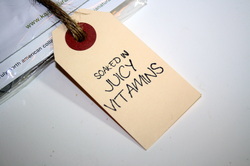 Tell me what you think about these labels and what would you use yours for?! Lovable Labels is on Facebook! 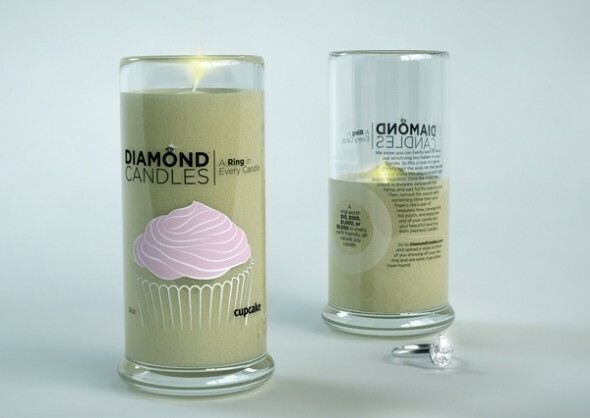 Diamond Candle Review Opp for Bloggers Have you experienced a soy candle with amazing aroma that inspires and makes your holidays go smooth and relaxed? Have you seen anything like waiting with anticipation what's going to be peaking out of the hot soy liquid while the candle is still burning? If you are to participate in this campaign, Blog about this event on your blog, linking it to this post. First, let me tell you I wish I knew about this little kit a lonnggggg time ago! 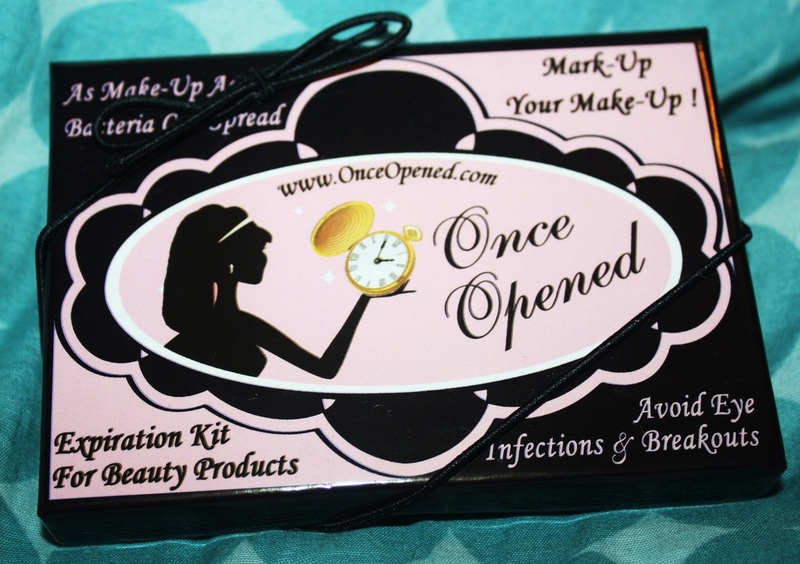 This "Once Opened" is a little kit that will save you from infections from old makeup or even skin rashes! "Once opened, airborne bacteria can cause certain cosmetic ingredients to oxidize and degrade." Then if that happens you touch it with your hands or dirty applicators, you risk infection and spreading of bacteria growth which then can cause breakouts, infections or rashes. The thing that is most handy is the pink card on the right that tells you what products last up to 3 months, 6-8 months, 12 months or 18 months. It was so informative and interesting to learn that you should throw away your beauty wipes, liquid or gel eyeliners after three months! So to use these all you need to do is fold back the laminate, without detaching it, write the date when the product was opened on the label, peel the film off the laminate and smooth over the label. Finally just peel off the label sticker and stick it onto the product. 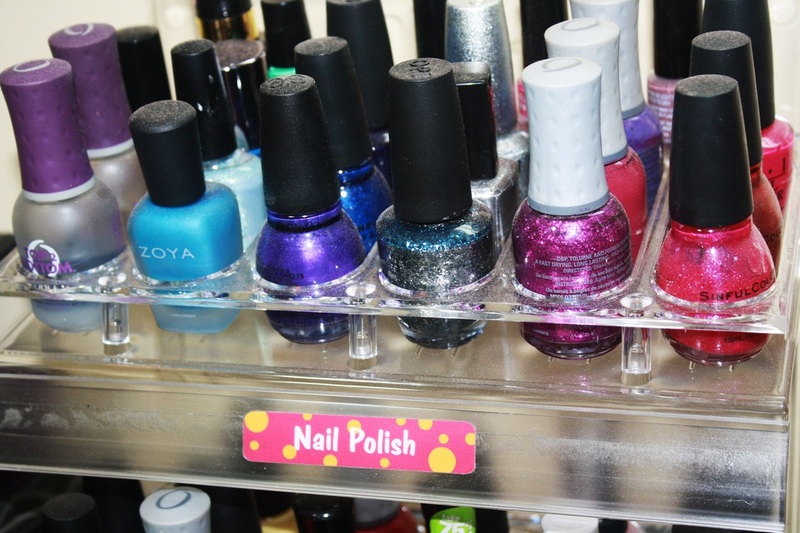 Then you can reference your pink card to see when it's time to toss it and open a new one! Such a great way to keep your skin and eyes safe! Here you will find reviews about other beauty tools!